Ray florets white. 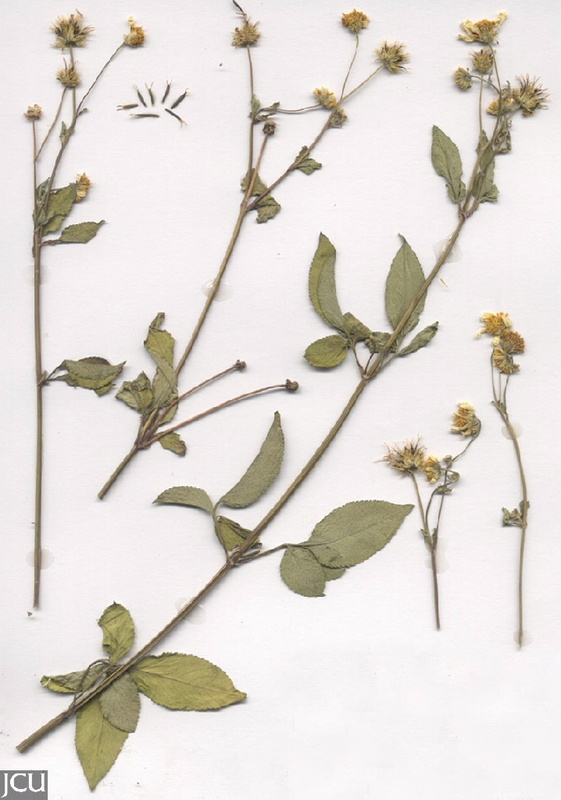 Erect herb to 1.2 m.
Upper foliage leaves are compound with 3-9 toothed oval leaflets, hairy on lower surface. Flower heads to 2.5 cm diameter, rays white 10-16 mm long. Disk florets yellow. Pappus of 2 awns 1-2 mm long, achenes black.